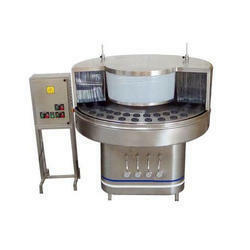 We are a leading Manufacturer of liquid sampling cup with rod, rotary bottle washing machine, bottle drying oven, filter press machine, industrial emulsifier machine and volumetric liquid filling machine from Delhi, India. It is largely used in various industries such as pharmaceutical, food, and chemical. The clients can avail it at very reasonable prices. It is simple, quick and easy to use. It is perfect for quick sampling most liquids. We are one of the pioneers in the field of manufacturing and supplying qualitative Rotary Bottle Washing Machine. The machines made available by us are extensively used to wash bottles of various sizes in different industries. To meet clients' exact demands and needs, we offer these rotary bottle washing machines to them in both standard and customized specifications. The hot detergent tank shall be fitted with thermostatically controlled heater. The driving mechanism shall be arranged at the bottom in an enclosed cabinet. All the contact parts shall be quality stainless steel made and polished to necessary finish & M.S. parts shall be fine painted. The empty bottle to be washed shall be arranged manually on the rotary disc of the machine. These bottles are automatically carried to the station, where they are internally & externally washed, first with tap water and purified water. The washed bottles are again taken out manually and arranged on a bottle dryer crates. We are one of the trusted manufacturers of top-notch quality Bottle Drying Oven. Following the industry guidelines and quality norms, we manufacture these bottle drying ovens. We manufacture these pharmaceutical equipments using best quality factor inputs, under the strict supervision of our quality inspectors. 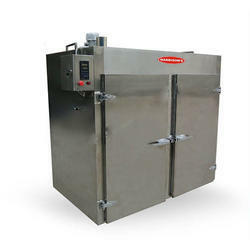 Our clients can avail these bottle drying ovens from us in both standard and customized specifications. 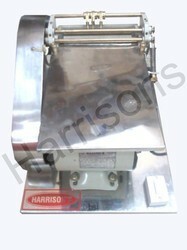 We are offering wide range of Filter Press Machine. Complete in all respects, all contact parts of s.s-304/316 quality, 8”/14" dia plates, transfer gear pump of s.s- 304, with suitable elect. motor, 6-Plate / 10 -Plate model machine, with s.s.-filter holder. Plates assembled in a cartridge with interlocking kin cups. All mounted on s.s covered to pipe trolley - portable type. Complete in all respect with all contact parts of s.s.-304/316, mounted on heavy angle frame hanger, arrangement for height adjustment, with impeller of specially designed to suit the HP of the drive, motor protected with four studs, rotor encaged with four studs & bars, complete with motor, starter and one classifying screen of any desired mesh. 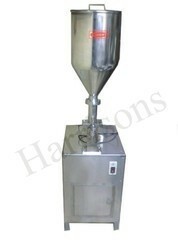 100 lt. Mixing capacity, with 1HP/3Phase motor. 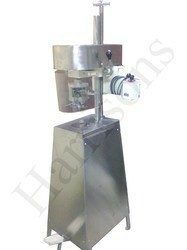 We are offering a wide range of Volumetric Liquid Filling Machine. 90 to 260 ml capacity SS-304 complete syringe. Body of the pump of C.I., with Inlet Pipe & Outlet Bend, made of Stainless Steel– 304 quality. Polycarbonate- Food Grade. Suitable for all types of chemicals. Bottle Inspection Table With fluorescent tube and shaded background, all fitted on a wooden table with sun mica top, with provision for attachment to conveyor at any later stage.b) Bottle inspection unit: Small size Duly painted with shutter for light emitting from electric bulb fitted inside of chamber of box. All unit is made of wooden with sun mica affixed to base on which bottle to be checked are kept. The unit is with magnify assembly with iron stand and magnifying lens, attached for better magnifying of external particles, if present in the bottle to be checked. Double Jacketed Heating Tank are mainely used for heating the liquid with mixing for chemical, pharma, cosmetics & foods industries. The inner and outer jacket made from S.S. 304/316 quality, fitted with S.S legs mounted on wheels. for efficiently working especially rounded from circumference for easy rotation. Vessels are with removable type lid at the top, complete with ball valve for solution removal. The vessels are given mirror finished polish. Complete with Electric Heater, Thermometer, Connector, Panel etc with water inlet and outlet Nozzle. Digital Temp indicator / controller is also provided. Available: upto 500 ltr. capacity. 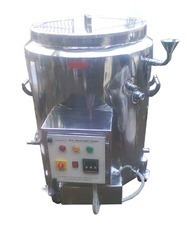 We have been able to achieve immense success in the industry by delivering quality-approved High Speed Dissolver Stirrer Machine to the clients. 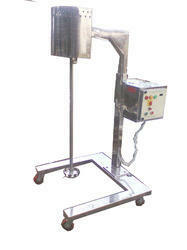 The range of dissolver and stirrer offered by us is fabricated in compliance with international standards of quality. 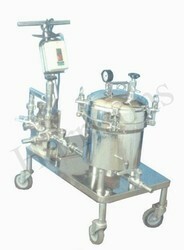 We make use of finest grades of raw material in the manufacturing process of these pharmaceutical equipments. 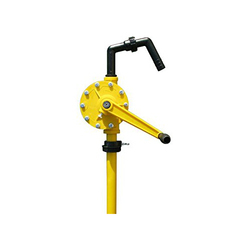 Industrial Motorized Stirrer is with thick type s. s stirring shaft with stainless steel paddle for uniform liquid stirring, directly coupled to the motor. The height adjustment of the stirrer is by sliding of channel, with mechanical device. Complete in all respects with all contact parts of Stainless Steel 304 quality, mounted on m.s angle frame Stand cladded with St. Steel Sheet. 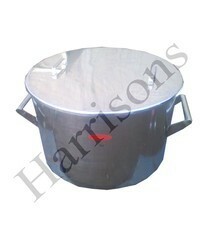 Available: 25 ltr to 600 ltr capacity. Motorised Label Gumming Machine is to smear uniform gum to the labels The brass made Gum Pot is provided with Doctor’s Knife for removal of excess gum from the label. The unit is complete with rollers, 3 label lifter, all brass made. The label to be gummed is kept on the top plate made of St. Steel. 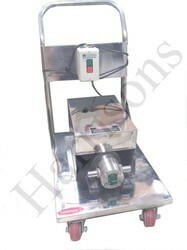 The machine is fitted on wooden mica board, with Crompton motors, Cord and Plug etc. Capacity 1500 to 2000 bottles/ hr. 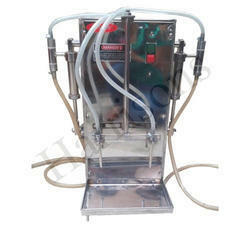 P. P. Cap Sealing Machine is used for pilfer proof capping of bottles, capacity to seal 1500 to 2000 bottles/ hr. 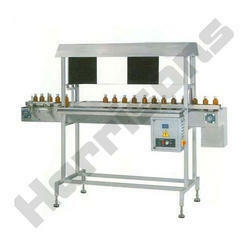 depending upon the efficiency of the operator, complete with bottle resting tray, dies for sealing 22,25 & 28mm neck bottles. The machine can be adjusted easily according to requirement. The unit is complete with ¼ HP motor of Crompton make and starter etc. 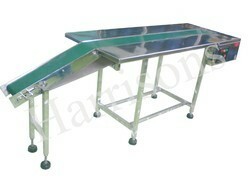 The body of the machine is cladded with stainless steel sheet. Compete in all respects, designed for packaging/ transportation operations of the inspected strips, cartons packs, etc. with 9" / 12" width superior quality, P.V.C coated belt at the center, having 12-inch width s.s. top working table on both sides of the conveyor belt, driven with suitable geared motor, DOL starter and roller, with S. S. pipe legs & frame, height adjustable between 28” to 32”. 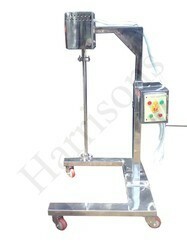 Plastic Cap Sealing Machine is used for capping of bottles, capacity to seal 1500 to 2000 bottles/ hr. 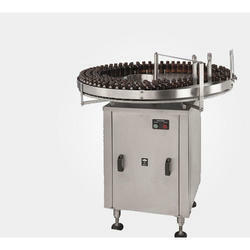 depending upon the efficiency of the operator, complete with bottle resting tray, dies for sealing neck bottles .The machine can be adjusted easily according to requirement. The body of the machine is cladded with stainless steel sheet. The unit is complete with ¼ HP motor of Crompton make and starter etc. Supplied with one no. die of your given sample. Made of single-layer stainless steel structure. Capacity 1500 to 4000 ltrs./hr. 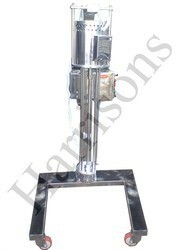 Centrifugal Pump: Made out of stainless steel quality of material & provided with high quality of mechanical seal TC/TC. The unit is provided with motor and starter. The unit is mounted on S.S. trolley. Capacity 1500 to 4000 ltrs./hr. Stainless steel scrambler and unscrambler, which is familiar as Turn Table. 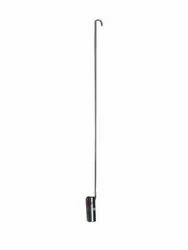 This is built on S.S. Square frame, solid guide rail and reduction gear box for jerk less and noiseless performance. Turntable is useful to ensure total synchronization, uniform flow of container and to take a turn at 90 degree to suit different machine and purpose in automatic liquid line. Over these years, we have managed to emerge as a leading manufacturer of Bottle Washing Machine. The wide gamut of superior quality Bottle Washing Machines made available by us has helped us garner a rich clientele in the market. These machines are designed and developed incorporating advanced technology and latest machines. Further, to meet the exact application requirement of clients, we offer these pharmaceutical machines in customized specifications. M.S. body of the machine cladded with SS sheet. Looking for Liquid Section Machine ?